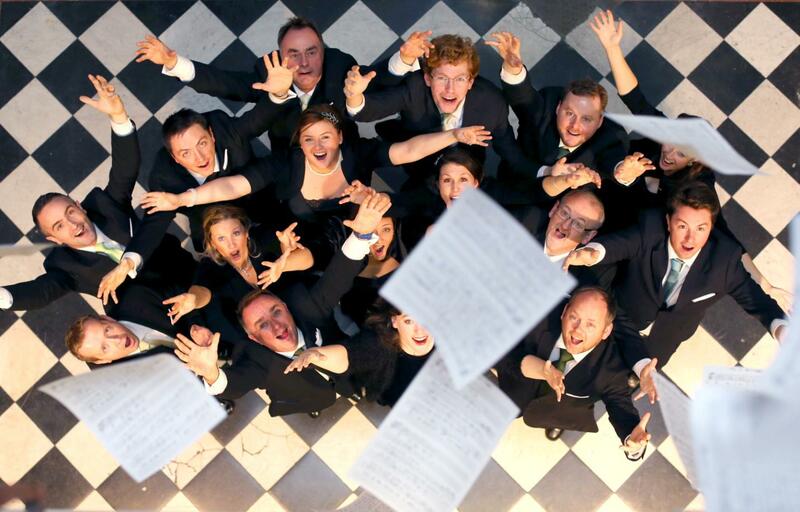 Chamber Choir Ireland – the country’s flagship choral ensemble – will perform in the prestigious Diaghilev Festival in Perm, Siberia on Saturday the 28th June. The Concert will take place in the beautiful Perm Philharmonic Organ Concert Hall and promises to be a very special occasion. Under internationally acclaimed Artistic Director Paul Hiller, the Choir will perform excerpts from Avro Pärt’s Kanon Pokajanen. Mr. Hillier is a recognized expert on Pärt, having performed his music extensively, written the first English language biography of the composer, and won a Grammy for his recording of Pärt’s Da Pacem in 2007. The Choir is reaching out to businesses who may be interested in supporting this event and availing of corporate entertainment opportunities. The performance will be heard first on June 20th in Christchurch Cathedral, offering an opportunity for sponsorship / corporate entertainment in Dublin also. Two trade missions to Moscow took place at the same time (Aviation and Agriculture) and in excess of 40 people travelled from Ireland. Each mission was fully supported by the Irish Embassy in Moscow. Mr. Gerry Ennis, Head of Trade Finance at Ulster Bank, attended these trade missions to Moscow, organised by Enterprise Ireland and led by the Minister of State Alan Kelly, and provided the report on the trip. The Minister of State for Commuter and Public Transport, Mr. Alan Kelly T.D., is today (Monday 7 October 2013) leading an Enterprise Ireland trade mission to Russia, focussed on the aviation sector and the growing opportunities for Irish companies in this major market. The trade mission, which is based in Moscow and has been organised with the support of the Irish embassy in Russia, includes 20 best-in-class Irish companies from the aviation sector. Russia has become a key export market over the past two years for many of these companies and the mission is aimed at reinforcing the broad range of products and services they offer to Russian airlines and aviation buyers. Enterprise Ireland Russia & CIS would like to invite you to participate in the Aviation/Transportation Trade Mission to Russia, which will be based in Moscow and will offer attendees an opportunity to learn first-hand about extensive market potential, to meet the most influential industry players, to network with existing/potential customers/partners, and to generate PR and media opportunities both in Russia and back home. The Embassy of Ireland held a tourism promotion event in Moscow on 21 November to which Russian tour operators and travel media were invited. The presentations outlined the advantages of Ireland as a tourist destination and an in-depth explanation of our visa system. The event was very well attended with approximately sixty attendees. The Embassy is currently following up on specific questions raised by some of the guests present. Follow on, the Embassy organised a familiarisation trip to Ireland for a small group of Russian journalists on 23-28 November. The programme included briefings at the ESRI, Enterprise Ireland, IDA Ireland, Bord Bia and Trinity CollegeDublin. The journalists were accompanied by an Embassy staff member.